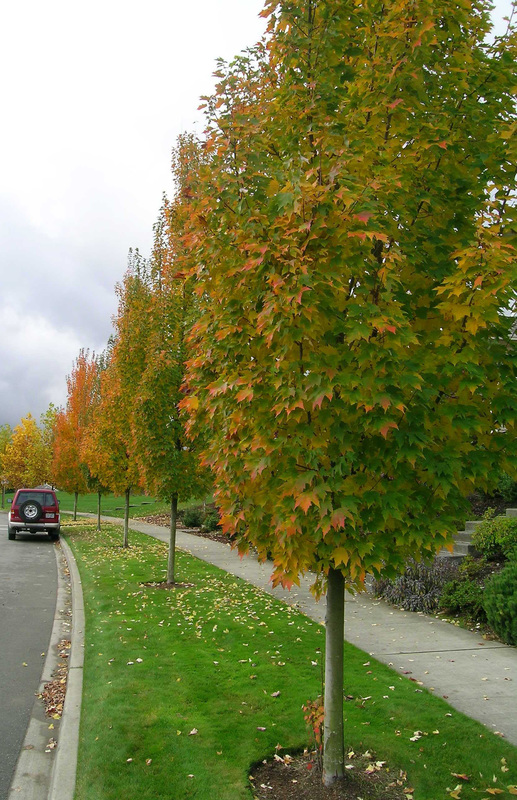 The versatile Red Maple tree is an excellent choice for your yard. It will add beauty and color to every landscape, and you'll enjoy the natural effects of its multi-seasonal blooms. The botanical name for it is Acer Rubrum, aptly named for its deep, rich bounty of color. The tree is hardy, and it can easily withstand several different climates. It will grow best in zones 4 through 9. It has been a long time admired of landscapers and homeowners in North America for its striking red flowers and leaves. It will multiply, and its height and width will offer some welcome shade to your yard. The leaf of the tree will vary in shape and hue, adding to its unique and visual appeal. The spring burst of red will grow to a broader, almost scarlet color in the fall. The red maple will enhance and decorate your home and your property. Known as the state tree of Rhode Island, you can be assured it will thrive and prosper in most regions of the US and Canada. It is not unusual for the leaves to add a subtle look of green and white to its classic red tones. This majestic beauty will stand proud and serve you well. Its distinctive and colorful blossoms will delight you for years to come. Acer rubrum, or Red Maple Tree, is one of the fastest growing trees around. This tree grows best in full sun and gets up to 50 feet tall. The Red Maple is pretty disease resistant and drought tolerant. This tree has green leaves in the Spring that turn to a pretty red or orange in the Fall. This is a shallow maintenance tree with little mess after Fall. This tree makes for some good shade. The Red Maple tree ships bare root during dormancy without any foliage.